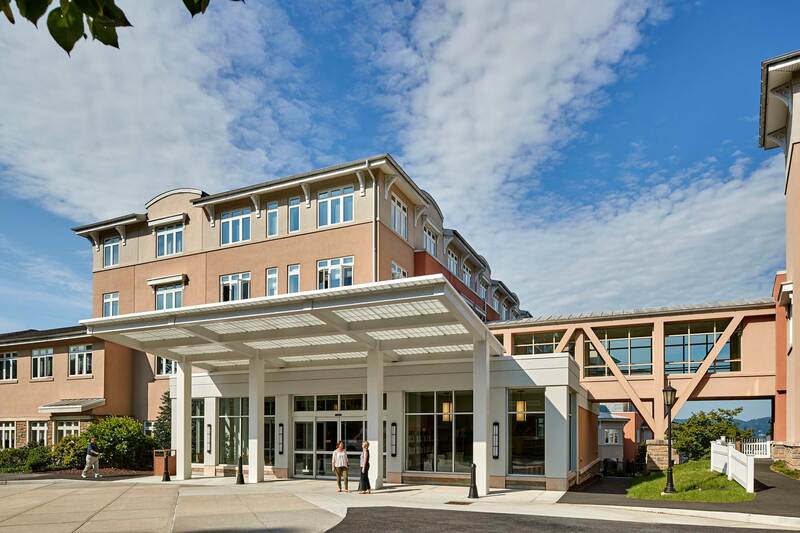 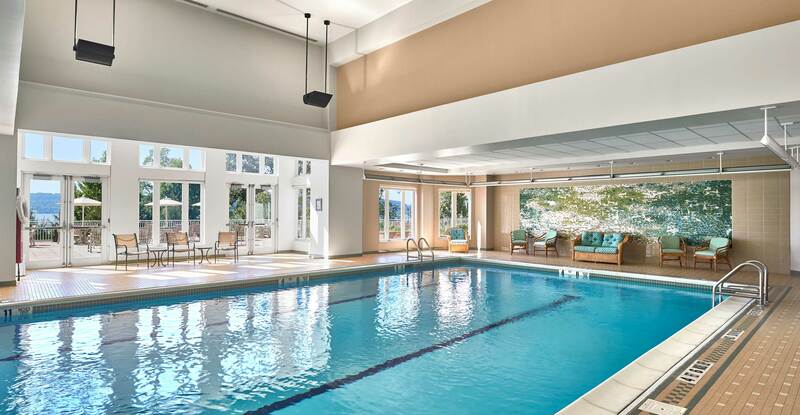 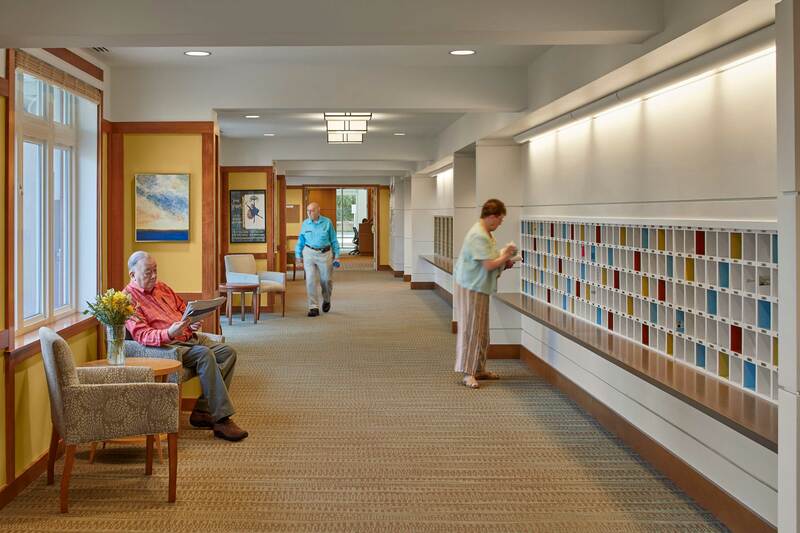 This eight-year-old continuing care retirement community undertook a strategic re-thinking of the long-term care offerings within their community. 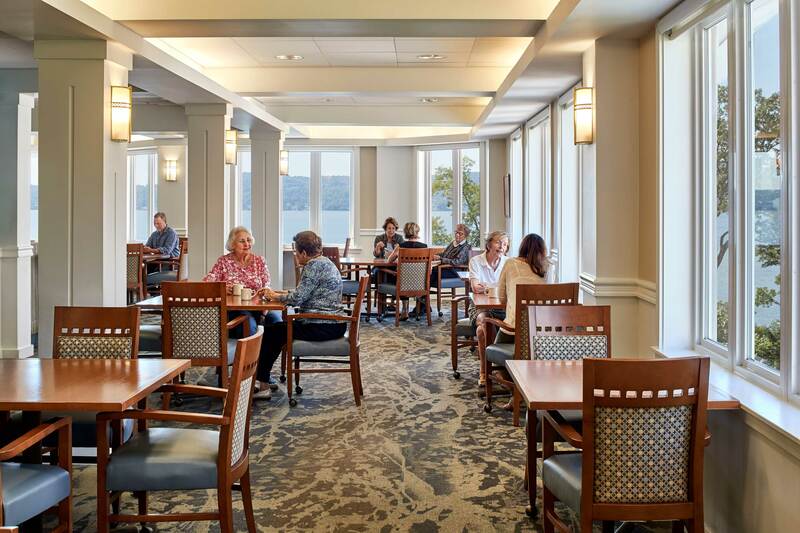 They set forth “Project ReNew” to fulfill their mission as well as to take advantage of new health care licenses offered by the State of New York that allow higher levels of care within Assisted Living residences, and Special Needs Assisted Living Residences. 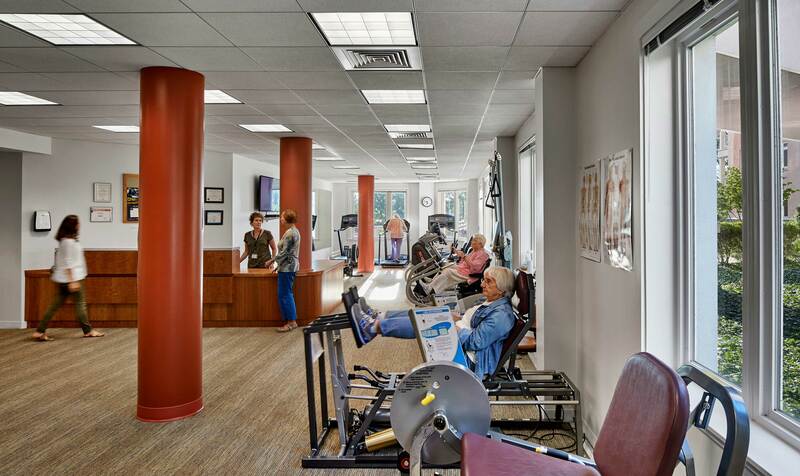 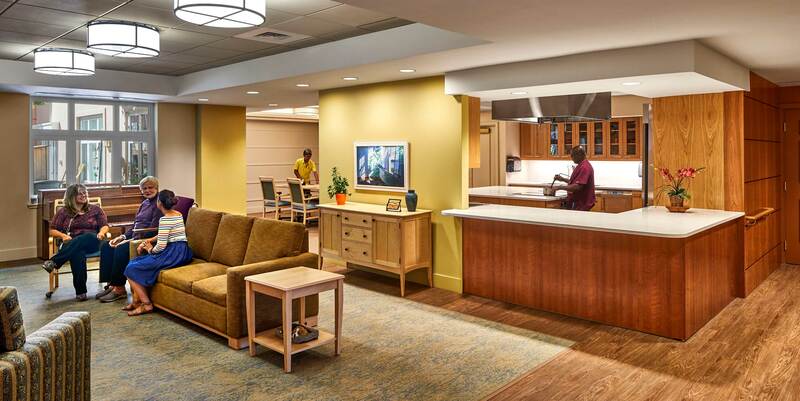 The challenge of the design team was to redesign the Health Center to create environments that support new programs and care offerings that reflect model practices and innovation and to update the Independent Living community Commons space. 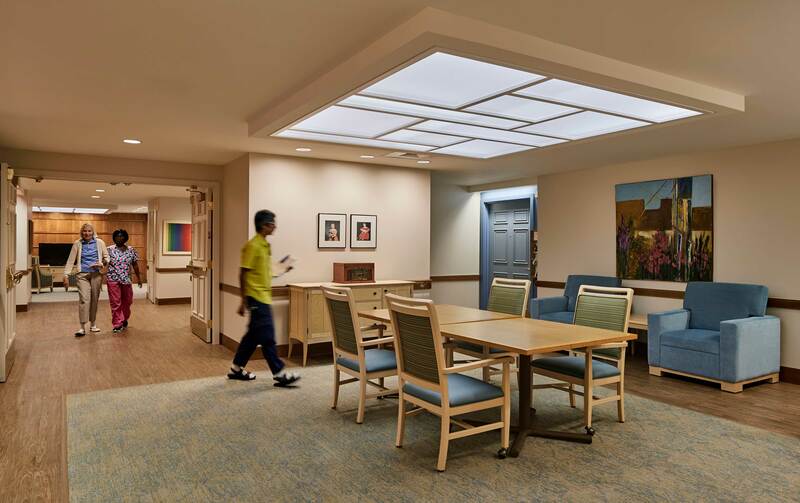 The renovation added a new 13-bed Memory Support Unit, expanded the current Assisted Living from 24 to 34 apartments, and reduced the Skilled Nursing Facility from 42 beds to 28 beds. 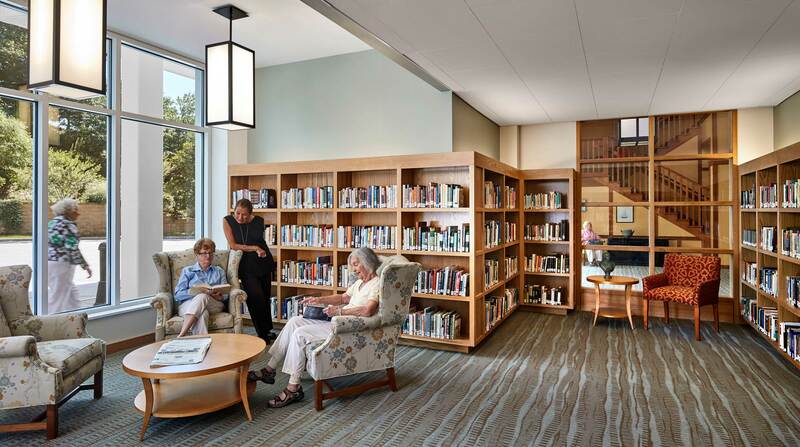 As part of this project, the design team also improved and expanded the Independent Living Commons and Fitness areas, including construction of a new library and entry porte-cochere, renovated reception area, and bistro lounge, enlarged multi-purpose gathering room, fitness and physical therapy areas and the relocation of the marketing offices and administrative office suite. 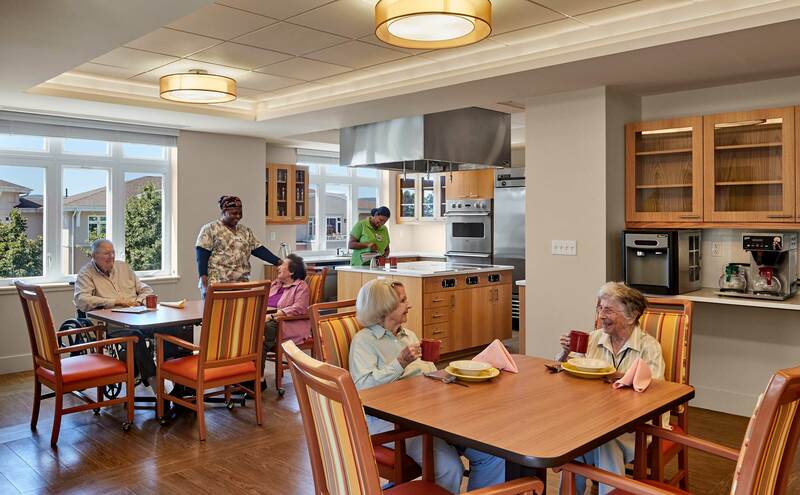 The repositioning effort reflects Kendal’s values and philosophy of care – focused on the least restrictive, most home-like settings possible, providing maximum autonomy and independence consistent with safety and wellness of the residents.